To add a company to your list of billers in RCU Online Bill Pay, click on Payment Center at the top of the screen, then select "Add a Company or Person". On the next screen select the Company or Person tab. Enter the name of the company and click the search button. 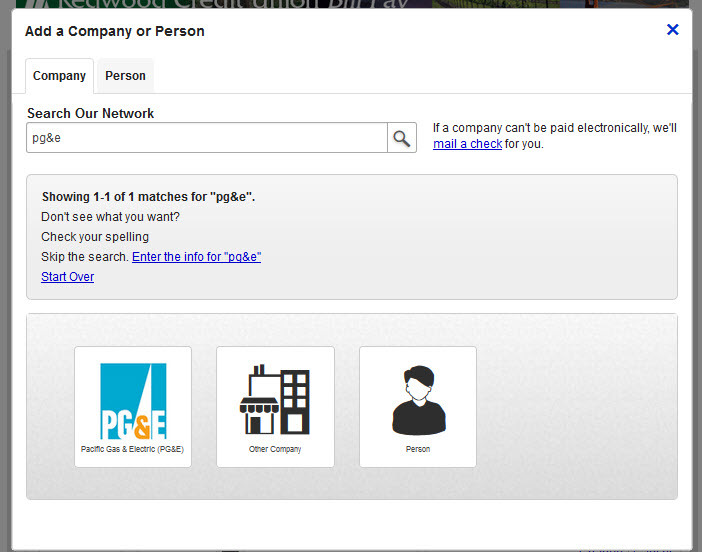 Or click on the biller category and search for the company. Once you have located the biller you will enter the biller account information. Click "Add Bill" when done. **Note: If the company you are adding is a know biller for Bill Pay, they will have all of their company information on record.